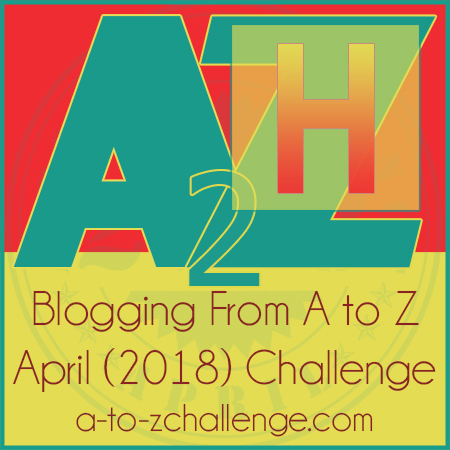 I apologize for the break in the A-Z challenge. I had the lists ready, but not prepped and scheduled on the blog, so when we came home from our short vacation to no internet and we ended up staying somewhere else for three nights because of work being done in the house, well, I just threw up my hands in defeat 🙂 So, I’m jumping back in with the current letter. I am not a historical fiction buff, but I have read at least 10 that I’d recommend. The Executioner’s Song by Norman Mailer, read in my mid 20s, really did change my life. It changed the way I viewed criminals, violence, and our justice system. It’s a chunkster at 1,056 pages, but this 1980 Pulitzer Prize winner is worth it. A few links to convince you. This billed itself as a nonfiction novel (based on life of Gary Gilmore), and is similar and compared to In Cold Blood. Except I loved this one 100 times better. I Was Amelia Earhart by Jane Mendelsohn is one of those novellas that you will either love or hate. The opposite of the first one I listed this one is a mere 145 pages and will not change your life, but you will spend a couple of hours enchanted by the prose and possibilities of Earhart’s fate. The Tea Rose by Jennifer Donnelly. The fact that I loved this one so much makes it so much more embarrassing that I haven’t read the rest of the trilogy. Yet. Set in 1880’s East London you follow love story among the working class and you may even run into Jack the Ripper. Cannot say enough good things about this one. The Winter Sea by Susanna Kearsley is one of my magical favorites. It jumps from current day to the 1700’s Scottish Jacobite uprising. For fans of Diana Gabaldon’s Outlander series. The Corpse Reader by Garrido is one I’m adding because probably not too many people have read it and they should. From Goodreads – Inspired by Song Cí, considered to be the founding father of CSI-style forensic science, this harrowing novel set during the thirteenth-century Tsong Dynasty draws readers into a multilayered, ingenious plot as disturbing as it is fascinating. I really thought this one was great! Click on the title to read my glowing review. Circling the Sun by Paula McLain. I probably shouldn’t even put this one on the list because quite a few people have told me they couldn’t stand Beryl so didn’t like the book. But, I loved the 1920’s Kenya story of Beryl Markam. The real Beryl wrote an autobiography, West With the Night that I still need to pick up. The Wife, the Maid and the Mistress by Ariel Lawhon is the perfect book for the #metoo movement. In 1930’s NYC Justice Joseph Crater disappeared and Lawhon told the story from the three women who knew him best. At the Water’s Edge by Sara Gruen was a book club choice and reinforces why reading and discussing books you didn’t choose on your own is a good thing. Who knew that a WWII search for the Loch Ness monster could be so good? Okay, your turn. Recommend a historical novel to me. I’m a big fan of Dorothy Dunnett’s Lymond series which is set in Tudor Europe. I also like Dickens and Thomas Hardy. I’ve read a few Hardy’s and am a fan. I’ll have to look into the Lymond series. I read The Executioner’s Song way back when too and it moved me as well. I’m listening to Just Mercy by Bryan Stevenson now and, oh my goodness, is it opening my eyes. I tried Just Mercy as my car listening, but couldn’t stay focused enough to get very far. It’s still on the list for when I time to sit down and read it in print. Awesome choices. The Into the Wilderness series is great. I LOVED the first two but it’s been so long that I’d be afraid to jump back in. I’ll add that to my list. My book group tends to read historical fiction more often than naught so my appreciation is growing. First of all, 11/22/63 is one of my top 12 books all time. I tell everybody that if you can accept time travel, then the rest of the book follows very plausibly. Two of those were already on my list and I added The Alice Network. Jason still references 11/22/63 quite a bit. Did you see the tv miniseries? We made it through 3 episodes and let it go. They changed so much! I thought the Executioner’s Song was a movie with Alan Alda. Turns out there was a movie but with Tommy Lee Jones. I’ll have to add that one to my TBR. I already have the Stephen King one that I’m going to try to read this year for my PopSugar challenge. So many books, so little time! Not a thousand pages, because OMG – books that long should be banned. I can’t think off the top of my head to give you a title, but I will second your vote for Outlander. I started reading the series almost a dozen years ago, when there were only five books, and was hooked. It’s just such incredible writing that I find myself immersed in the sights, sounds, smells . . . everything is just so well done. I even got my husband to read them, and he’s gone through the eight released books at least twice now over the years. Gabaldon is such a skilled writer. I have watched most of the first season of the show (I received the DVD set as a gift) and really enjoyed it but am glad I have the book knowledge tucked away to fill in what’s not able to be covered onscreen. I’m glad you’re back and online! I was excited to have discovered the blog and wondered if the AtoZ had turned out to be too much work. If you already had your other posts written, you should put them up anyway, so the writing time wasn’t wasted. Thanks for this great list of historical fiction. It’s definitely my favorite genre! I recently read a phenomenal book that I think should be considered for your TBR pile. It’s called “The Jinn and the Sword” by authors Robert Peacock and Sara Cooke (if you wanna check out the website: http://www.thejinnandthesword.com/). It follows master swordsman Il Lupo and his daughter Francesca who have been summoned by Suleyman the Magnificent (Ottoman Empire). There have been assassination attempts against him and he needs protection. The descriptions the authors use for the location and people really transports you to another time and place. It is beautifully written and the characters are fantastic. If you do read it I would love to know what you think! I don’t read a lot of historical fiction…I haven’t read any of your top ten but have heard of some of them. I did enjoy Homegoing by Yaa Gyasi which takes place over several generations and hundreds of years. The Invention of Wings by Sue Monk Kidd was also really enjoyable. The Signature of All Things by Elizabeth Gilbert was a surprisingly well-though out drama. Enjoyed that one immensely. The Historian by Elizabeth Kostova, and A Northern Light by Jennifer Donnelly was a beautiful historical fiction ya book. I’ve been meaning to get to her adult historical fiction. Dovekeepers by Alice Hoffman was also really good.